Fortune Senior Editor and Author Adam Lashinsky speaks with Edie Lush at Hub Davos about his new book, 'Inside Apple'. Apple controls everything - from the specific messages that are allowed out - i.e. 'revolutionary phone, the internet in your pocket, the best ipod ever made' to the few executives are ever allowed to spread the message. They are told not to deviate from the script, at all, ever. They famously don't do market research, or focus groups, but rather Steve Jobs decided what we wanted, and gave it to us. The new CEO Tim Cook is not Steve Jobs, and comes from the manufacturing side, and it remains to be seen what kind of control he'll have over the company. Ambassador Eric Goosby speaks with Edie Lush at Hub Davos about the ambitious plan to eliminate the transmission of HIV from mother to baby entirely by 2015. There are 390,000 children born annually who are HIV+ on the planet, all in sub-saharan Africa. The US is now turning up the volume to get mothers anti-viral drugs while they are pregnant and to ensure that they get the care they need while pregnant. They're using social media sites like Facebook to remind mothers about their appointments, to tell them when to take their medication, and if they miss an appointment, to get them back into care. Amnesty International Salil Shetty continues to hold companies to account over human rights. Recently, Amnesty has focused on mining companies - Welanta - a Bauxite mining company which exploits mineral resources in Eastern India but is registered on the stock exchange in the UK. Amnesty worked both on the ground with pressure groups in India and with shareholders in the UK to block Welanta's actions. Reputation.com Founder and CEO Michael Fertik warns that 90% of what's on the internet is advertising. Currently as users of the internet, we have little control over companies selling information about ourselves to other companies. Michael wants to return this power to us. Imagine a world in which a company has to pay you in order to use your data, your reputation to sell you something instead of it being free. Beware of the Pizzly! One aspect of climate change is on average that animals are moving 2 meters north a day. One of the most surprising stories Laurence Smith found when he was researching his book is the big game hunter from Idaho. James Martell who went to shoot a polar bear in Canada in 2006. After shooting the bear his excitement turned to confusion when he saw that the animal had brown circles around its eyes and huge claws. This was the first documented sighting of a Pizzly, the cross between a polar bear and a grizzly bear. And, these animals are now reproducing! The Nature Conservancy is the world's largest environmental NGO in the world CEO Mark Tercek talks with Edie Lush at Hub Davos. Mark Tercek has come from Goldman Sachs to work with both government & business to invest in conservation and save nature. 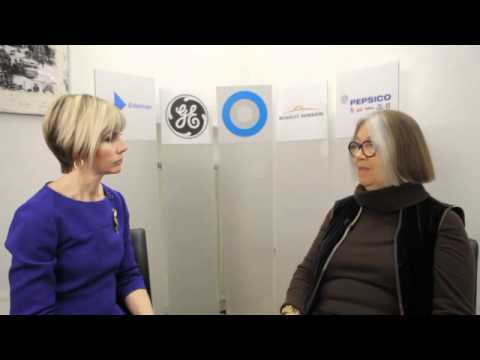 Professor Heuer talks with Executive Editor Edie Lush about CERN's discoveries. Professor Heuer promises a major discovery this year. CERN will build on the 'intriguing fluctuations' it observed in 2011. It will either discover the final elementary particle - the Higgs Boson particle - which gives mass to fundamental particles - or they will discover that it doesn't exist. If CERN discovers that it doesn't exist, part of physics will need to be rewritten. The Climate Group's Mark Kenber chats with Executive Editor about its work on Climate Change with sub-national groups like North Rhine Westfalia, the Basque country and Quebec to provide solutions to climate change. Both for electoral reasons and economic reasons, they're showing leadership on electric vehicles. The Basque country has a partnership with Ibedrola to put in an electric vehicle charging network. Quebec has set its self a target of 20% electric vehicles by 2020 in order to become a world leader in electric vehicles, The Climate Group is working with manufacturers to create a procurement network for these vehicles. Cloudflare's CEO Matthew Prince speaks with Executive Editor Edie Lush about his company's role in protecting websites from bad guys (hacking, spam, denial of service attacks), while making the internet run faster. The Committee to Protect Journalists contacted Cloudflare about a journalist in Angola who was reporting about human rights abuses. His website was being attacked by government supporters, and while they were searching house to house to try to find him, Cloudflare was able to protect his words on the internet. 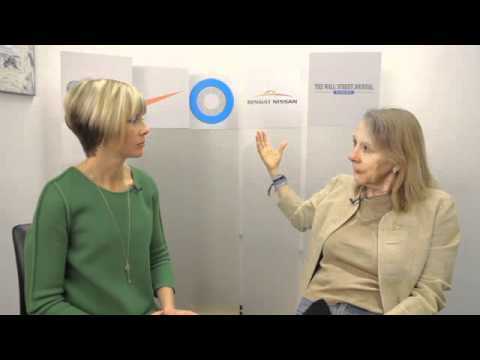 Angel Investor Esther Dyson talks with Executive Editor Edie Lush about the differences between the political protests - from the Occupy protestors in the US (and Davos!) to those asking for change in Russia and the Middle East. In the US there is a coalition between Democrats & Republicans who are against both big business & big government. In large part these are people who have lost their jobs or are working in low paid jobs. In the Middle East, there is a huge amount of young people who can't get jobs and are clamouring for change, where as in Russia it is a middle class movement. Social media is playing a critical role in the movements. Social media means that the Russian government can't rewrite history as they have before, because the people are writing their own history through Facebook and Twitter posts. Mobile and internet penetration means that the Russian movement is also much wider than the Middle East, where internet penetration is shallower. What do can a philosopher of ethics say to the world in the aftermath of the financial crisis? Michael Porter from Harvard Business School tells Edie Lush how companies in the US can take positive action to increase their competitiveness. HBS surveyed 10,000 of its alumni in a new study called Prosperity at Risk. The last few decades have been about globalization - companies have been in the world of going offshore and building a global supply chain by chasing lower costs. In the process companies have lost the connection with their local community. 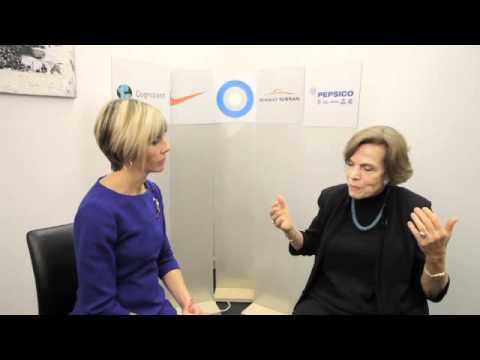 Sylvia Earle says that its time to put the ocean on the balance sheet. We've been taking it for granted for too long. 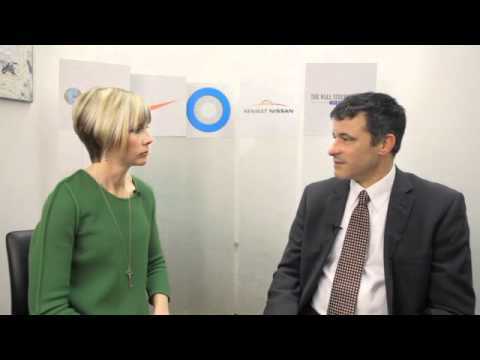 Yahoo Finance Economics Editor Daniel Gross speaks with Edie Lush at Hub Davos. Yahoo! Finance's Daniel Gross says its not time to write off the US yet. Since 2008, we bailed out the banks in the US, and in fact the US has been growing for 2.5 years. the US is adding jobs, companies have more cash, they're getting better at keeping more up to date on their debt. Wyse Technology's device dramatically lowers the cost of computing by connecting users directly to the internet. There is no Software or Operating Systems on the device - everything comes from the cloud. The technology is much cheaper and much greener - they have no fans, create no heat and use much less power. The technology is being by private companies trying to cut costs and by schools from San Jose, California to South Africa, making it possible for every student to have a computer, access to the internet and the ability to learn faster. VC Accel Partners' Partner Theresia Gouw Ranzetta sees the great promise of the millennial generation is their commitment to entrepreneurship. 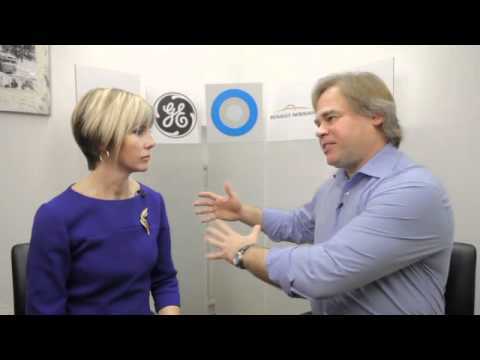 Eugene Kaspersky tells Hub Culture's Executive Editor Edie Lush that while we understand the threat cyber criminals present to our personal data - stealing our identity and bank account information - we don't yet understand the threat we face from cyber terrorism, namely the ability of malware to take down a country's military or nuclear facility. Digital data & computer systems now drive the world's economy. Computers are everywhere - from controlling our water supply to our elevators. While governments are aware of the dangers of cyber crime & are working together to help prevent cyber criminals, the threat from cyber weapons are not yet widely understood. Part of Iran's nuclear facility was physically destroyed by a malware program last year, possibly by another government. Kaspersky's message is that we need to take this threat more seriously. He says that cyber terrorism is a boomerang - once you attack someone with a cyber weapon, they understand how to attack you back. We need global agreements against cyber weapons, just as we do on nuclear weapons. Tsinghua University's Daniel Bell, Professor of Philosophy, speaks with Edie Lush at Hub Davos. Daniel Bell tells Executive Editor Edie Lush that many people are attached to their cities more than their countries. Think of New Yorkers, who identify more with New York than with the US with t-shirts that say "I heart NY". He also says that the rise of 'civicism' - Bell and his co-author's invented term for the rise of urban pride - can be seen from the US to Europe to China. Bell also points out that Confucianism is experiencing a revival in China amongst some political reformers. Confucianism teaches that there is a duty to protect people who are voiceless, those future generations who will be affected by policies (like Climate Change) for example, and that liberal democracy lacks these characteristics.